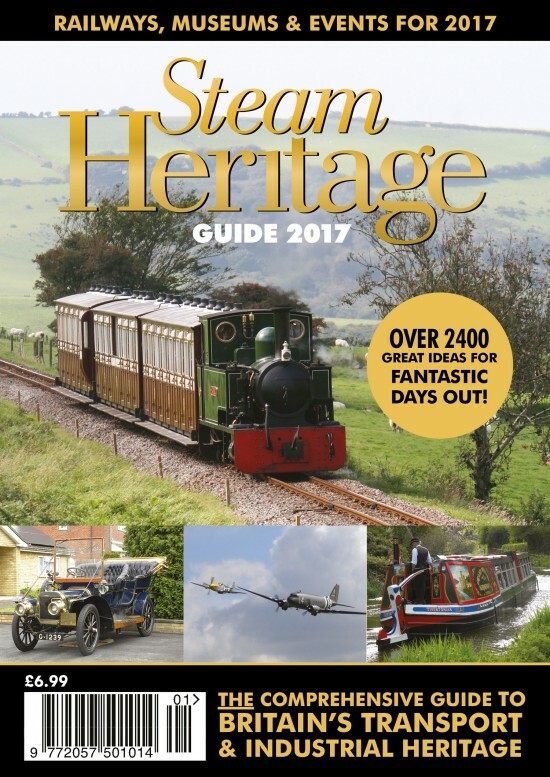 2017 Steam Heritage Guide is here! Don't miss out - order your copy of the most comprehensive guide to Britain's transport, industrial and agricultural heritage. If you haven't already ordered your 2017 edition of the Steam Heritage Guide, now is the time to do it. The first batch of orders are in the post and we await your order. Don't miss out on arguably the most comprehensive guide to Britain's transport, industrial and agricultural heritage, with some 2,400 places & events to visit in the coming months. Order it online now or give us a call on 01403 588360 and we can do it over the phone for you. The Guide is also in good newsagents, so you can pick up a copy that way if you prefer.